WELCOME TO ALLEGHENY MEMORIALS & ENGRAVING! ​ We offer granite monuments Made In America in a wide selection of color, bronze grave markers mounted on a granite base with a vase or without a vase and matching Veteran markers. We don’t just order from stock pictures, we enjoy talking with our customers and finding out what they would like to have on their monuments to make it personal to them. If you see a monument you like in a cemetery, on our web site, or in a book we will be glad to make one just like it, or change it a little and make it more personal. For families who choose cremation, we have a wide selection of cremation monuments, from benches, granite monuments, personal columbaria to monuments that will hold cremains. - Bronze marker refinishing. (We can make that old marker look like new again). - Gravesite reconstruction, and gravel or sod for cemetery lots. - Cremation garden design, construction and maintenance. - Pet markers, services, urns and monuments. 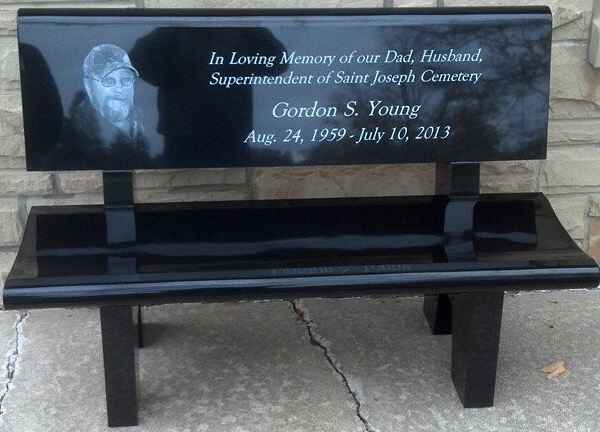 If you have that special place you or your loved one enjoyed going, let us take a picture of that place and put it on a monument with our laser etching. We also offer traditional sand-carved monuments that etch flowers and letters deep into the stone. We serve a broad area of Pennsylvania and New York surrounding Warren, PA. Please contact us today for more information. We will be happy for you to visit our location, or we will be glad to visit with you at your home. We look forward to talking with you soon.